Not earth shattering, but worth a look at this slow time. Cover1 has been analyzing Ed Oliver and Wilkins. At least from the clips he has posted, I would much rather have Wilkins than Oliver. That doesn't reveal the total body of work, but it looks like Oliver, against lesser talent, is often removed entirely from the play. The same is not true of Wilkins, against better talent. Horrible mock. Would be very upset with that one. To be fair, Oliver is a star player on a bad defensive line, so if you watch the video he constantly is getting double and even triple teamed. With the star studded defensive front 7 that Clemson has, other teams don’t have the luxury of consistently getting 2 hard on Wilkins. I like Oliver more as a penetrating 3 tech DT. If you watch the clips, they both faced the same number of double teams. Wilkins handled them much better, whereas Oliver was constantly getting blown way out of position. Again, thats just based on the clips I saw. I would not be very upset with it, but the best I would say about it is it's "fine"
Maybe the guy had a family situation that made him pick Houston, but I’m weary of guys who were 5 star recruits out of high school and don’t challenge themselves against the best competition. Wow, those first 4 picks are more or less all of the guys that I've been hoping for. It's like they read my mind for this. The back half of the draft didn't really do anything for me though. I like Wilkins, the rest he could have done better. I do not see them waiting until the 5th round to grab a TE. Wilkins is definitely a more complete player and a very safe pick. 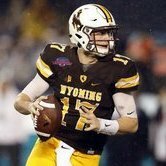 I really don’t think that the Bills are going to make many picks in the later rounds. I feel like they used FA to kind of take care of “depth” guys like you’d get later in the draft. Guys like Johnson, Feliciano, Waddle and even Kroft to a lesser extent. The draft, this year is about finding a handful of players IMO. I fully expect the Bills to pick 4 times by the end of day 2 with the hope of finding 4 “immediate starter” types. They will be targeting guys and going to get them. They’ve upgraded the back of their roster. This will be about upgrading the top and middle. We definitely need to address RB and TE earlier than they did in this mock. They almost certainly won't draft 10 players like they currently are slotted to do. Whether that means trading up throughout the draft or trading picks for future picks, I would bet they only draft 7 or 8 guys at the absolute most, much to my chagrin. I would be fine with that. There isn’t much room on the 53 as it stands. Wilkins' production plateaued the past 3 seasons...........he will turn 24 late in his rookie year........a relative old man in the draft with the most underclassmen ever. It's reasonable to question whether he has a lot of improvement left in him. My primary issue with taking him at #9 though is that DT isn't inherently one of the key positions. Those are the key, big dollar positions that you really need to use early picks on because you can't typically buy quality there in free agency. DT isn't a position on an island where you can expect big, game changing plays on a regular basis like those others..............if you are going to take a DT that early he needs a VERY high ceiling as a pass rusher IMO. Ed Oliver and Quinnen Williams probably have the most upside in that regard in this draft.......but even there it's a blurry projection. It's not like a Myles Garrett or Von Miller type player that you really know is going to hit QB's on the regular. These 2018 DT's could all prove to be rather modest pass rushers. Just hard to do from the congestion of the DT spots. I see where that thought process comes from because they've done that in recent drafts..........but where do they need "immediate starters"? Maybe they will just use the high volume of picks to draft BPA's who can come in and kick these 2019 "tomato can" UFA's over and win those jobs in the next two seasons. See, I think that makes sense for top 5, but less so after that. The "big money" guarantee guys usually get taken well before 9. At 9 you are taking the second best DE, the second best WR, or something like that. Every draft does not have 10 blue chip prospects. History bears that out. I think you need to be more flexible. As far as DT v. DT, I take Wilkins, but I do appreciate your point. I just loathe DTs that can be pushed aside. DTs should first and foremost be run stuffers. Pass rushing is their secondary purpose. I realize that is an unpopular opinion. But the defense starts with the DTs ability to clog up the middle. That opens up pass rushers on the outside, etc. Yeah I am not too flexible in the first round...........my philosophy is you use round 1 to fill the elite positions...........if you don't you end up regretting it. I'm not a big believer in the idea of using "but he's only the second best DE/LT/CB/WR" as a rationale to not draft a player at an elite position............after all Wilkins could be the 4th or 5th best DT in the opinion of some.........each player has to be viewed on their own individual merit. And of course you can find DT's who can play the run in UFA......in the draft......in UDFA........even on the street in-season from time to time. After QB play the only thing more important to your team is getting to the opposing QB. FWIW I did advocate for the Bills selecting Aaron Donald with their first pick in 2014..........so it's not just a DT bias.........I was just certain he was going to be a great pass rusher and would push for double digit sacks as a rookie. I don't see anywhere near that certainty of pass rush potential with any of these DT's. TE, OG (OT if Dawkins becomes OG), DT, CB and EDGE if Murphy can't stay healthy. Sure we have players that can start but all of those “starters” should be number twos on a playoff team. Granted, IF, say, Johnson stays healthy AND lives up to his potential AND plays solid in real games for long stretches, he could be off the list but we can't bet on it. I keep seeing the failed first rounder penciled in over our UDFA CB that was lights out. I think they absolutely need one at TE. I also think that they could use an elite receiver, an LT better than Dawkins (who isn't that good), and arguably a pass rushing DE (unless you're wedded to a Murphy/Shaq combo). And of course ... DT, where they're currently relying on three guys who generated low-to-minimal production last season. Who is your preference for the pick at #9? I think Beane has positioned himself to go in numerous directions. I like Oliver, because I think he can be a disruptive DT, but if you think he's too small and will get pushed around, that's a reason to back off. A fella like Dillard who could end up being a quality LT makes sense, especially if you think Dawkins might be a superlative LG. I don't see a WR at #9, mainly because DK seems too risky there. Bosa and Allen will be gone early, so where's the edge that early? I think our cb situation is good enough you don't expend a first there. My guess on the 4 “immediate starter types” (not necessarily (immediate starters), a DT, TE, WR (year 1) and an OL/DE/RB (all a year away from needing new starters).